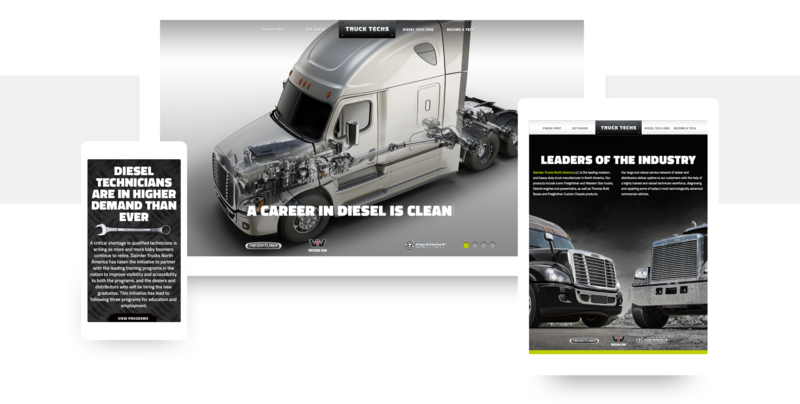 Daimler Trucks North America, the nation's leading medium and heavy-duty truck manufacturer, selected Harlo to design and develop a new website to drive awareness and interest in educational programs available to the diesel technician industry. As the next generation workforce loses awareness of the diesel industry there is a growing shortage of technicians to service truck fleets. 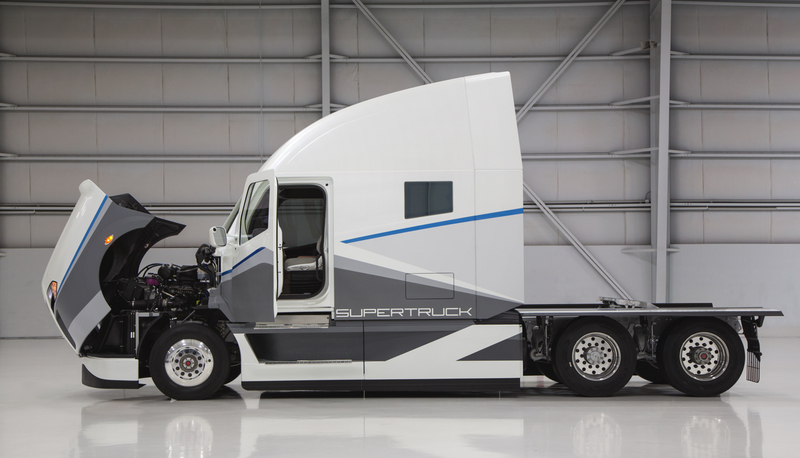 TruckTechs.com was created to change a growing labor shortage by serving as a knowledge base and job opportunity resource center for the industry. 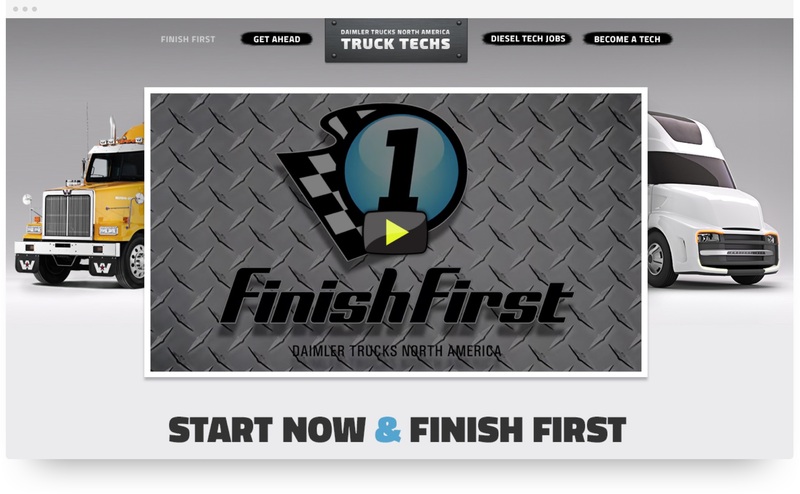 The Truck Techs website strategy included brand definition, content creation, and a custom visual design for developing a digital experience that was relatable and easy to use for aspiring technicians. The website shares the benefits associated with being a diesel technician and directs interested visitors to their choice of educational and career programs. 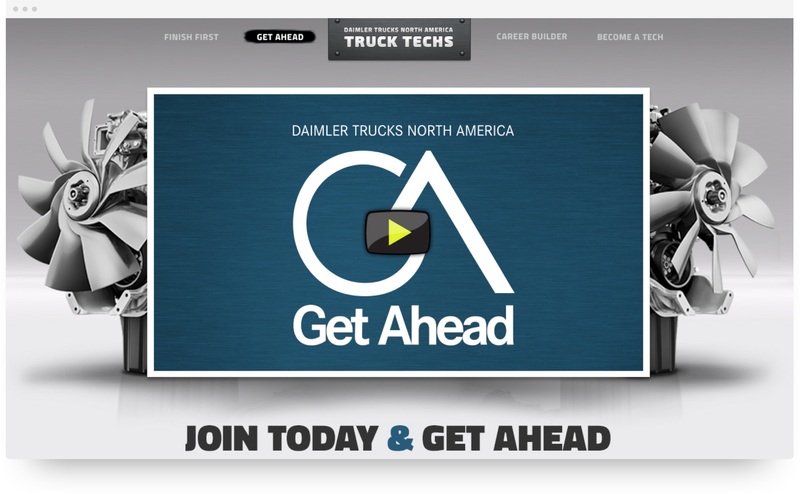 We built Daimler's Truck Techs website from the ground up, and their new digital presence is now an educational resource for aspiring technicians. It showcases diesel as a great career choice and directs users to educational opportunities and career programs, ultimately helping ensure a healthy future for the diesel industry. The Get Ahead Program associated with the website has grown from 9 schools prior to launch to over 100 schools, with more than 150 instructors and 1,400 students participating in DTNA's online training. 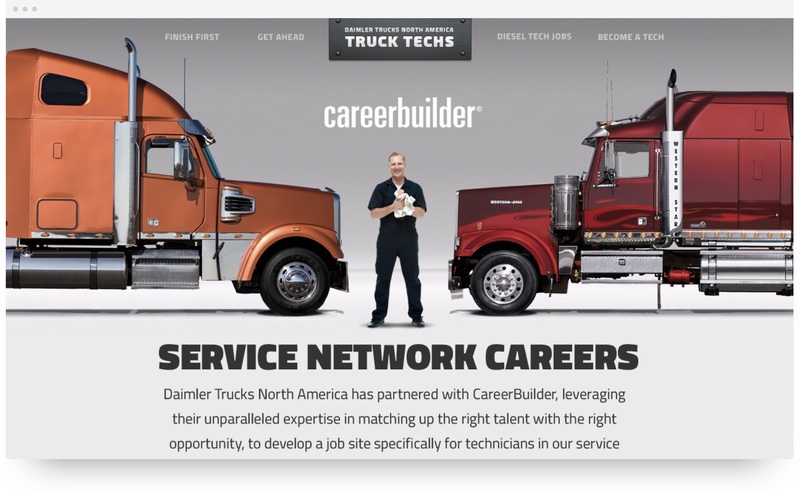 The Careers Program has seen 99 dealers and distributors post over 1,500 jobs, and over 400 technicians have joined the talent network by submitting their information to be contacted with job opportunities. "The website frequently draws compliments for design and ease-of-use. It has been really easy for our customers to interact with, and I think it's played a big part in the programs' rapid popularity. So, I'm super happy with it."